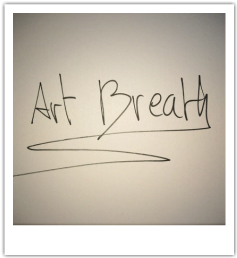 Art Breath is a platform that reports, develops and highlights the links and influences between art, culture, fashion, with society, philanthropy, economy, technology and politics. The arts can unite communities and countries, creating links of perspectives and empathy. 'Stories Made in Art' will be branching out soon in schools and hospitals. Art Breath's creator Nour Saleh shares her "Stories Made in Art" on Art Breath. Art Breath in collaboration with SOAS, will hold a series of events in 2016/17 looking at the intricate relationship between art and politics. Through the lens of art, the themes that will be explored throughout the series are: soft power, freedom of expression, street art, gender, identity, conflict, peace building, and many more. Nour Saleh, founder of Art Breath, is an artist, designer, fashion print designer, writer, creative consultant and researcher. She is also the creative director of September a fashion venture coming soon. From a very early age, she was painting and drawing and later at school designing fashion shows such as 'Trash' (creating beauty from everything) and 'Freedom of Expression'(using clothes to have a voice). A graduate from Central St Martins with a BA in Fashion Print, a foundation from Camberwell College of Art and an MSc in International Politics from SOAS University. She has both experience in management and creativity, was the studio manager at Alexander McQueen, assistant designer at Elie Saab, done prints for Louis Vuitton, and gained experiences at Stella McCartney, Thierry Mugler, Louis Vuitton, Chloe. ​In 2013, she moderated and developed the content for the panel “Trendsetters as Champions” for the NextGEN Exchange Leadership Forum (Flying Bridges) at the OECD headquarters in Paris. In 2014, she was part of 'Art for Life' for the British Red Cross and some of her work was exhibited at the Japanese Embassy in London. In 2015, she founded 'Book&Talk' the first SOAS Alumni Book Club : to keep the conversation going after graduation. She was also the co-founder, creative director and editor-in-chief of Faux Pas Magazine. In 2016, Art Breath in collaboration with SOAS, started to hold a series of events looking at the intricate relationship between art and politics.